Hot on the heels of the Windows 8 preview (which we're already experimenting with in a VM) comes something probably even more significant for us - an early preview of Visual Studio 11, no less! The first thing we tried to do was of course to load Visual Lint into it. Although Visual Lint won't yet load automatically into VS11, by the simple trick of exporting the registry from HKEY_LOCAL_MACHINE\Software\Microsoft\VisualStudio\10.0\AddIns\Visual Lint and reimporting it to HKEY_LOCAL_MACHINE\Software\Microsoft\VisualStudio\11.0\AddIns\Visual Lint (with the Wow6432Node node on x64 machines, of course) we were able to get it to show up in the VS11 Add-In Manager. 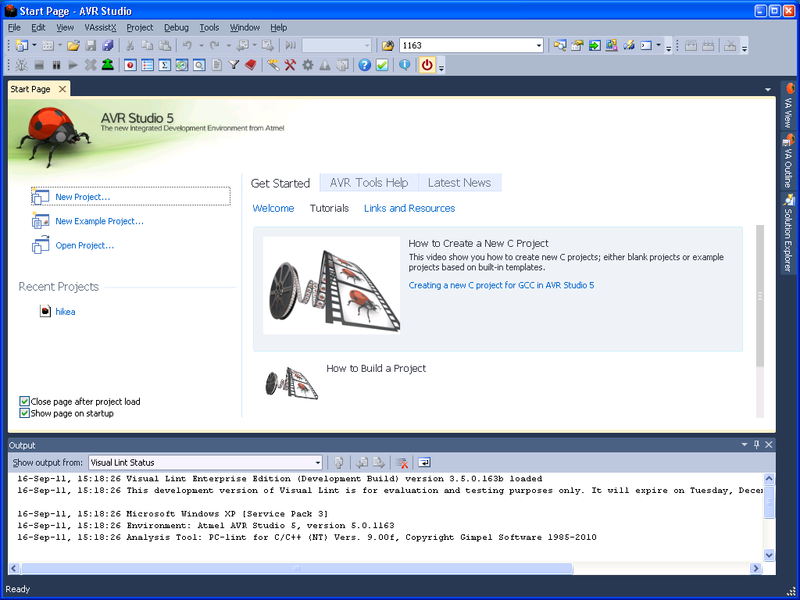 Unfortunately, Visual Studio then reported an error when it tried to load the add-in. After a little experimentation we discovered that VS11 COM add-in registration in HKEY_LOCAL_MACHINE is broken in the preview, but once we moved the registration to HKEY_CURRENT_USER Visual Lint loaded correctly (albeit without a toolbar or menu as its VSPackage implementation doesn't yet know about VS11). The slightly unnerving thing about this is the issue it raises within the installer - writing to HKEY_CURRENT_USER from an elevated installer is highly discouraged behaviour (it will cause your app to fail a platform test if you submit it for formal testing) and for good reason - if the logged in user doesn't have admin privileges the user account that gets modified by the installer will be the wrong one. Hence if this isn't fixed in VS11 we have some headscratching to do. Nevertheless, it's a start. Fixed a bug in the handling of UNC paths while writing PC-lint project indirect files. Fixed a bug in the parsing of PC-lint XML formatted analysis results (generated by env-xml.lnt) which could cause the contents of the <Description> tag to be truncated. Fixed a bug in the implementation of the "Auto-show the Analysis Results Display when analysis results are available" option which could cause the UI to freeze when hosted within Visual Studio 2005. Fixed a bug which could cause code editor markers for issues in header files to be shown incorrectly [VS2002-VS2010] [Visual Lint Enterprise Edition]. 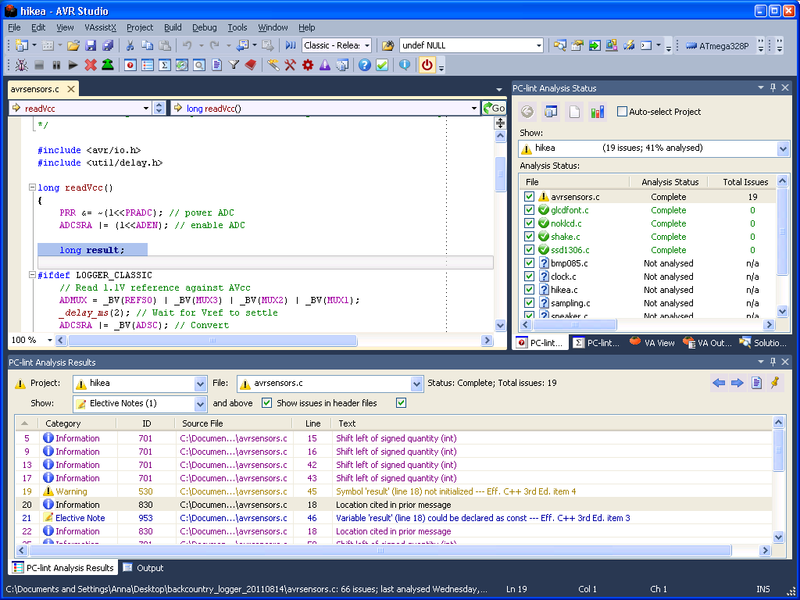 Fixed two bugs in the Analysis Results Display which prevented the selected file from being changed directly when the "Pin" command was active or after all files open for editing within the environment had been closed. Updated the balloon tip text displayed in the when an invalid name/key combination is entered into the Registration Dialog. Generalised the caption text for the "initial analysis state" control on the "Analysis" options page. Added a new "Auto" analysis thread count option to the "Analysis" options page. This is now the default setting for new installations of Visual Lint. Revised the layout of the charts used within the displays and reports.